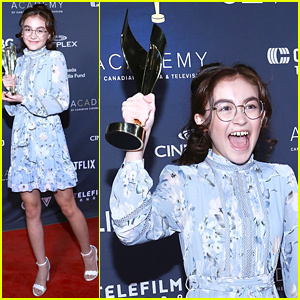 Anna Cathcart Photos, News, and Videos | Just Jared Jr.
Anna Cathcart is a winner at the Canadian Screen Awards! The To All the Boys I’ve Loved Before actress showed her excitement on her face while holding up her trophy at the The CTV Gala Honouring Excellence In Fiction Programming held at Heritage Court, Exhibition Place, earlier this week in Toronto, Canada. Anna took home the award for Best Performance, Children’s or Youth for her series Odd Squad, beating out some of her co-stars as well as stars of Dino Dana. “For the rest of the night I was known as ‘the girl who thanked her dog’ and gotta say I’m not mad about it🐶,” Anna shared on Instagram. ICYIM, Anna is confirmed to return for the TATBILB sequel! 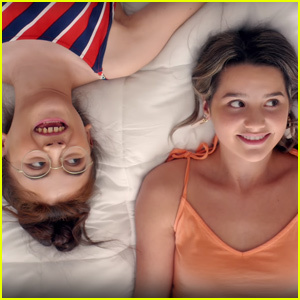 Lilia Buckingham, Anna Cathcart, and Annie LeBlanc are starring in a movie together! 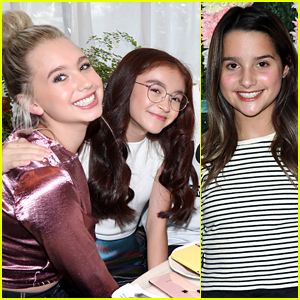 The Dirt actress, the To All the Boys I’ve Loved Before star, and the “Little Do You Know” singer have all signed on for the upcoming film Spring Breakaway. The trio took to social media to share photos of themselves posing in front of a billboard announcing that the film will premiere on YouTube this month. Mark your calendars for March 15, and watch the trailer below! ICYMI, check out Anna‘s ideas for the TATBILB sequel.